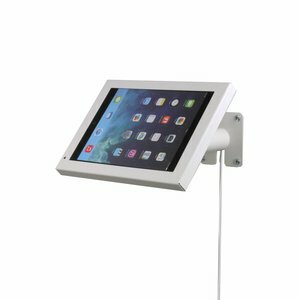 Stable and lockable steel tablet holder on a floor standing pedestal, screen can be portrait / landscape, cable invisibly integrated, can be anchored to floor. 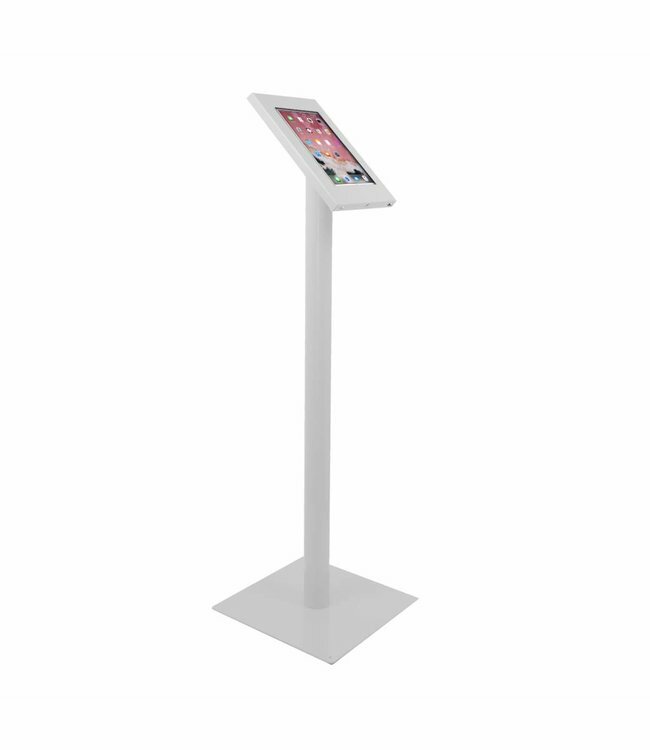 Features of tablet floor standing display for iPad 10.5" Ferro. 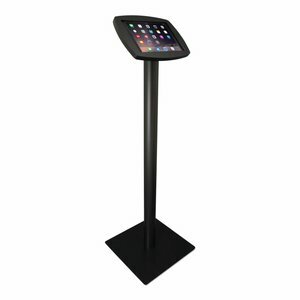 Tablet floor stand with universal enclosure, suitable for iPad 10.5". The holder for the tablet is made of solid steel and lockable with key-lock. 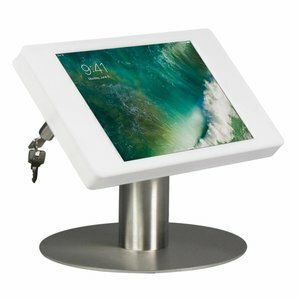 The holder is mounted on the pedestal with a comfortable viewing angle of 45 degrees. The tube is fixed with bolts onto a heavy square footplate with screw holes in the corners for anchoring to the floor. The pole is hollow and provides space for cable management. WiFi signal and sound are not disturbed or affected by the holder.